I’ve been contemplating the idea of uniqueness all week and coming up with nothing. Certainly nothing that was unique. Until tonight, when I sang at mass. Our parish celebrated the Eucharist and the Sacrament of Confirmation this evening which meant that our Bishop was here for the occasion. Almost everything about the mass was unique. There were staffs, and hats, and not one, but three priests, on the altar. 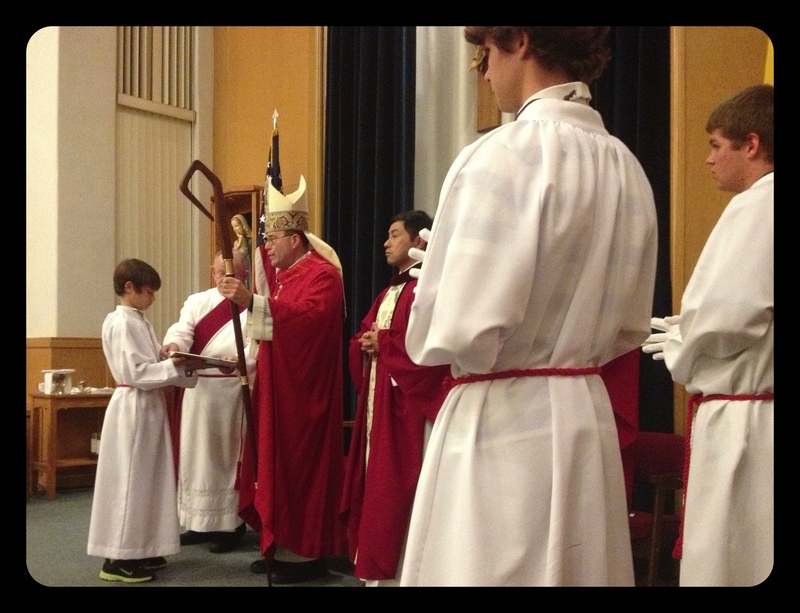 There was lots of red, as that is the color that represents the Holy Spirit in our faith. There was a great message that no matter how old we get, we always have more we can learn about God and our relationship with Him. And that each of us is unique in His eyes, with our own set of talents to bring to our faith community. We had many altar servers tonight, two of them female. I’m always tickled by the shoes that one of them wears when she serves. She quietly sits in the sanctuary, carrying out her duties, all the while sporting a pair of wonderfully sequined and sparkling silver shoes. I’m pretty sure she wears them every time. Her own particular brand of uniqueness makes me smile every single time I see her. All too often we hide what makes us unique. 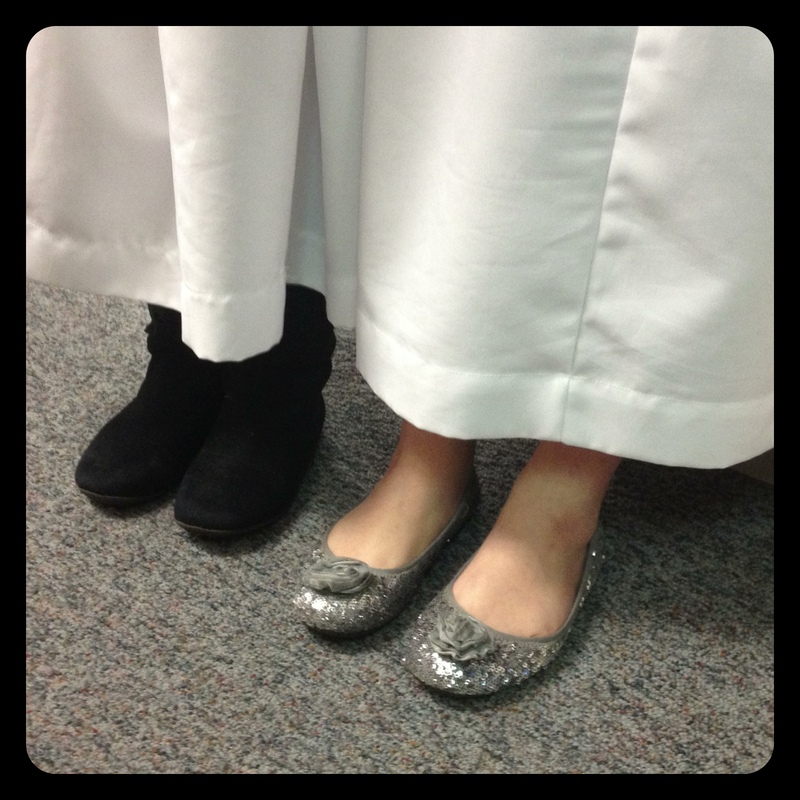 Tomorrow let’s all wear our sparkly shoes, whatever form they take.